If you’re the no.1 social networking site worldwide, with all the monthly numbers practically going into you, you can practically do anything without fear of losing your grip. I’m alluding to Facebook here, which just announced something that’s getting into me in a different way. 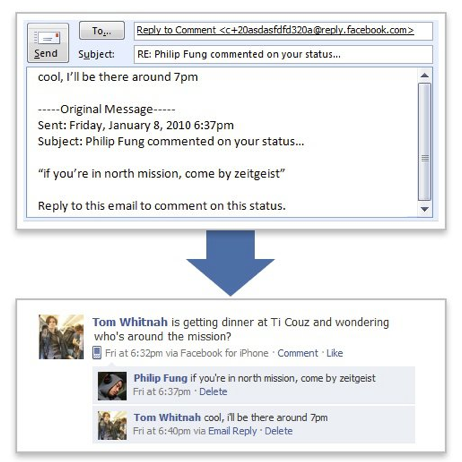 According to the Facebook Blog, members who opted to receive email notifications whenever comments are made on the posts they created on Facebook can now reply to those comments directly from the notification email. The reply will then be automatically posted on the specific thread where the comments were made. So, this means that you can opt not to go to the Facebook site just to reply to comment. Now, while this maybe a useful feature especially for users, I don’t really think that Facebook is encouraging site eyeballs on the Facebook site. Or perhaps this Facebook’s way of helping users who can’t access Facebook at work to at least stay active on Facebook even when they are in the office? And in case you’re not receiving any email notifications or you have not activated this feature yet, now may be the right time to do so. Just go to your Facebook account settings and enable email notifications from the Notifications tab.